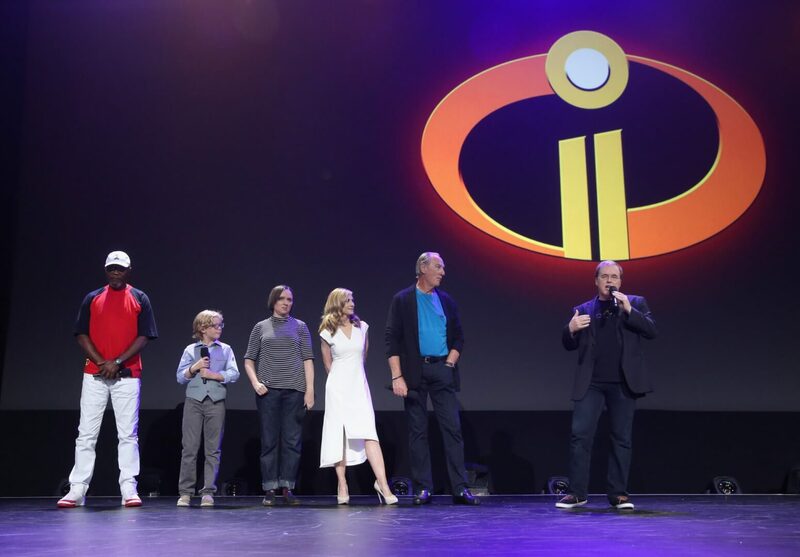 The cast of “The Incredibles 2” took the stage during the Pixar presentation at the D23 Expo 2017. 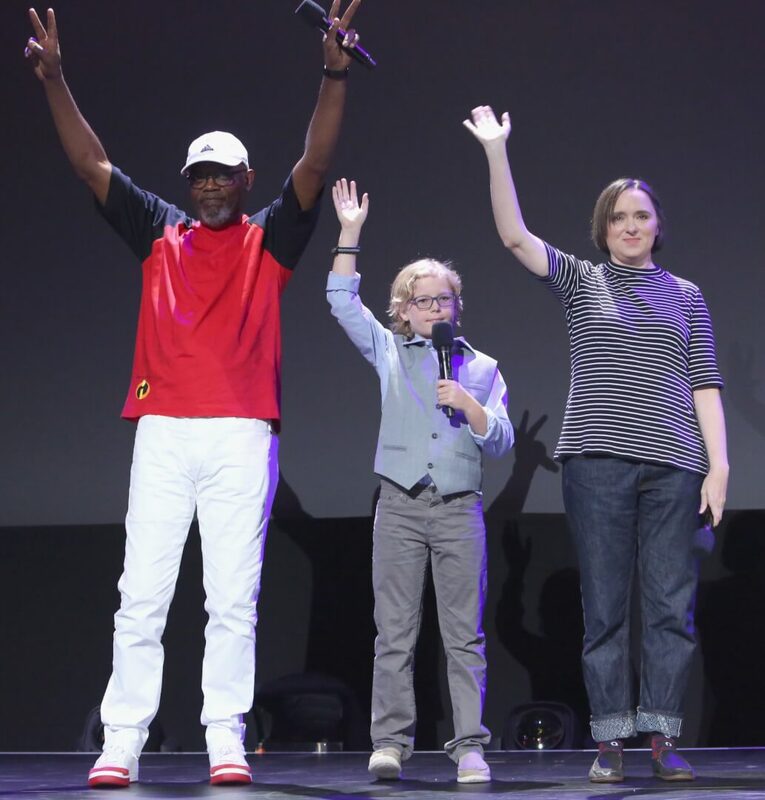 Craig T. Nelson, Holly Hunter, Sarah Vowell, and Samuel L. Jackson were in attendance, plus a new voice for Dash along with director Brad Bird. The long-awaited new film picks up where the original left off. Bob still doesn’t know that Jack-Jack has powers. “The Incredibles family has to get a new house. It’s a combo between a house and a super lair,” said Bird. After then showing some animation tests for the new models of Mr. and Mrs. Incredible, plus Violet, Dash, and Jack-Jack, Bird revealed a first look at a clip from the sequel. The clip is about Jack-Jack’s encounter with a raccoon. Jack-Jack seems omnipotent. “The Incredibles 2” will bust into theaters June 15, 2018. D23 EXPO 2017: Day 1 Highlights – From Mickey Mouse to Disney Legends to lots of fans! Maybe they’ll give Dash’s original voice actor a cameo like with Nemo’s original voice actor in Finding Dory? The voice of Dash is the guitarist in a killer indie rock band called Charly Bliss now!! !